Okay, I suppose there's probably been a post about this, but I didn't see one... I'm planning to go to Walnut Grove and DeSmet in July so I've been looking at various site, trying to figure the plan of attack. I always peruse the gift shops on each site as each one always has some interestingly unique item and then I came across one that has to be one of the best Little House related items. A reproduction of Laura's Engagement ring. How cool is that? The information on the ring is on this page. You have to scroll down just a bit. Its beautiful isn't it??! Clay asked me if I wanted one. I might have to say yes! I always thought that having an amethyst ring like Anne in Anne of Green Gables would be cool, but this is ten times better! I'm going to Walnut Grove and De Smet this July too. When will you be there, maybe we can meet up. I'll be there after Laurapalooza which is happening in Mankato, MN on 13-14th. It would be nice to meet you. I believe I'm planning to be DeSmet on the 20th and Walnut Grove on the 21st. I can't come the previous week as I have previous obligations, otherwise I would switch! Kerissa, do they sale this ring there at the homesite? How much is it?? That link will take you to it, Ginger. It's $210 for sterling silver, and $350 for yellow or white gold. Goodness! No wonder Clay didn't tell me how much it was. I want a new camera before I get that! Yeah, I was pretty surprised at the price, too. (Especially when you compare it to the price of Laura's original engagement ring! Wouldn't she be surprised??) It's very pretty, but I have to agree - there are other things that I would spend that kind of money on before I would a ring. Wow, that is really beautiful! Thanks for sharing that with us, Kerissa! I have a Buttercup rose gold Victorian cast wedding set, that holds my great grandmother's diamond. I would LOVE to wear this as a right hand ring (I think it's beautiful!!). I think the ring in gold is right on target actually (the price of gold is ridiculous now), but the sterling is overpriced for sure. I'm wondering if it's possible to find something close enough to it somewhere else online. I'm going to keep an eye out. I just think the idea of wearing something so similar to Laura's is NEAT. I was very pleasantly surprised to see that my Dr. Quinn character, "Dr. Mike" (Jane Seymour) wears the same buttercup engagement ring I have! They showed a close up once and I paused the screen and squealed when I realized that it's almost a duplicate! Here's my 'go to' site for reproduction jewelry. This is just lots of fun to browse---I honestly am far more intrigued with Edwardian jewelry than jewelry of today. I was definitely born in the wrong era. This is also a good way to get ideas about pricing. If you look through the silver settings, even with the gemstones they are mostly about $100 less than Laura's repro. "Laura held her hand up to the first light of the new moon. The gold of the ring and its flat oval set shone in the faint moon radiance. Three small stones set in the golden oval glimmered…a garnet, with a pearl on each side. ~Laura Ingalls Wilder, in These Happy Golden Years"
The reason why that's special? 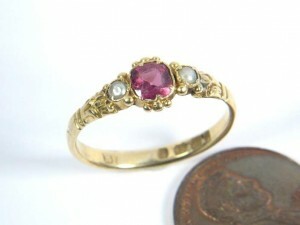 I have been looking for a garnet and pearl ring for years. My hubby's and son's bdays are in January (garnet) and older son's bday is in June (pearl). When I first looked at this ring link I thought it was a ruby. But it's a garnet!! Ooooh, I guess I'll have to save my pennies! Because I want the white gold! Oh, how I WISH this came in rose gold! I suppose if it's not exactly Laura's ring, it's still neat to know that the garnet pearl ring I will one day have to represent my boys/hubby is also what Laura wore in her engagement ring. I love that site Amy. Rings, and braclets are my thing. I have several rings and inherited my grandmothers wedding set. I want a mothers ring so bad, but will have it custom made ....someday. Might wait til I can add grandkids to it so there are more stones..he he! I'm with you I would love to wear Laura's ring too. I wear my open hearts ring alot that Jane Seymour designed. That. Is. GORGEOUS. It looks more feminine and. . . . somehow more "musical". I love it! I love that site Amy. Rings, and braclets are my thing. You and Lisa would get along very well, lol. I don't know about bracelets, but a great ring will definitely take Lisa's eye! I never really 'cared' that much about them in the past, but then a friend of mine told me, "Amy, they're the only piece of jewelry (besides a bracelet anyway) that you can admire on yourself!" Now I get it! Yes, I can see this ring meaning a lot to you, Gin. I do like some of the open hearts line, but not all of it. I'm kind of picky. I like the ring though. And there is a rose gold open heart pendant that I would like. I knew you would love that. I am trying to locate it online, but can't find it anywhere! "Musical"...I love that description! I totally know what you're saying! 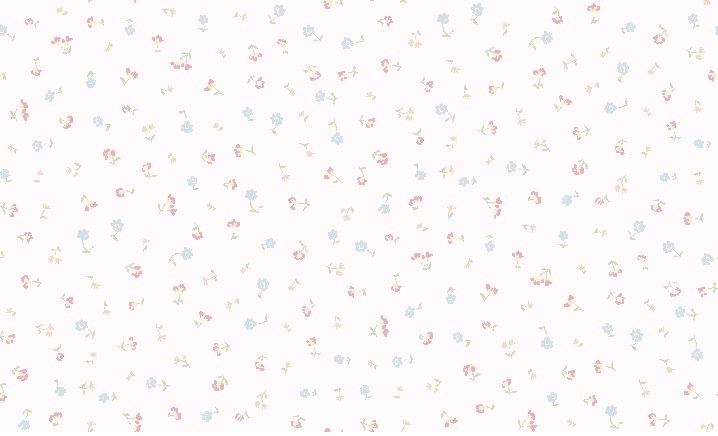 It is so feminine and dainty and just plain 'pretty'. I was thinking it was Edwardian, but maybe it is Victorian? It's hard to say. I'm not a ring person, but the one Amy posted is gorgeous! hmm... not certain why the link isn't working for you as it is for me. Try this link and then on the right hand side of the page click on "New Winter Items 2012". I know, I am so envious of the lady who owns it!! I found out it was made in a 1885. Would love to find a duplicate! Thanks so much for posting that link...yes, that worked. What fun! You better get something of Jane's, Amy. Maybe she'll do something else....like a brooch! Well, since you brought it up.... Yeah, that's one of my issues with the open heart line---it not always clear (on every piece) what it 'supposed' to be. My friend has the necklace and people think her name starts with a "Z", lol! I do think when it's combined with different metal, (like rose and silver) you can 'see' the open hearts better. But the one I found (that's rose gold) is more of a true heart, but still open. I'd buy this one in a heartbeat if it wasn't so darn pricey! (it's white gold though, not silver, so that drove the prcie up). I see there a many more new pieces.....I haven't looked online at them in ages. She has some pretty new things! There is an 'angel wing' pendant that is really pretty too. You and Lisa would get along very well, lol. I don't know about bracelets, but a great ring will definitely take Lisa's eye! Oh! I didn't see this! Yep, I love a beautiful ring. I only have a few bracelets...It used to be because I was paranoid about my hands. I thought they were ugly, so I didn't want to wear anything that would draw attention to them. But I got over that eventually and now I rarely wear bracelets because they tend to get in the way when I'm playing the piano. BUT, I have a few that I really like. One was given to me by a dear friend who I hardly ever see anymore, so every time I wear it, I think of her...And another was given to me by an elderly lady in my church who told me that I'm her "little ray of sunshine" (even though I'm like five inches taller than she is ). She bought these bracelets for each of her granddaughters, and included me as one of them. That meant a lot to me, especially since my only living grandma lives so far away that I rarely see her. Anyway...all of that rambling to say - I LOVE rings, and have grown to like some bracelets. I'm still swooning over that ring. And another was given to me by an elderly lady in my church who told me that I'm her "little ray of sunshine" (even though I'm like five inches taller than she is . No matter! You are everyones' little ray of sunshine!! So sweet that she included you as one of her granddaughters too! How special is that? !